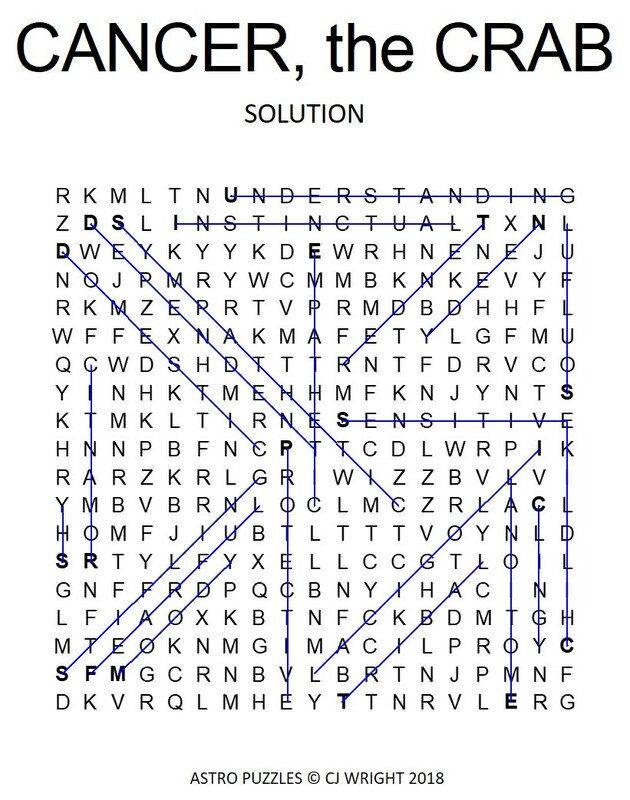 Did you get the free Cancer, the Crab Word Search Puzzle and are stumped on some of the words? Here’s the solution. You didn’t get the puzzle? Get it here.